Nexon and Neople's latest title combines mobile-focused design with console-quality production. It's not always easy to get noticed in the mobile games market. Perhaps thats why publisher Nexon and developer Neople have taken inspiration from hits such as Journey and Monument Valley with their latest title After The End: Forsaken Destiny. The game they've managed to put together certainly stands out from the crowd, but their unique and charming little experience isn't without its flaws. 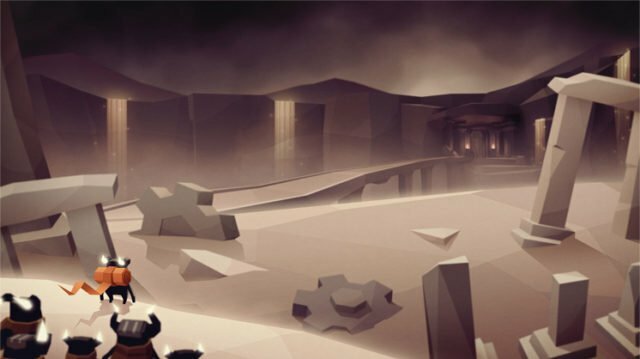 Players making their first foray into After The End will likely notice similarities to Journey immediately. The game presents no real dialog, and exchanges between the horned monster-esque protagonist and the strangers he meets along the way are purely-context driven. Bits of the world's story are seemingly told through etchings found around environments, and the hero even has a little scarf-like ribbon hanging from his backpack. The world is similarly-built, too, with sepia-toned desert areas leading to rune-laden stone temples and beyond. 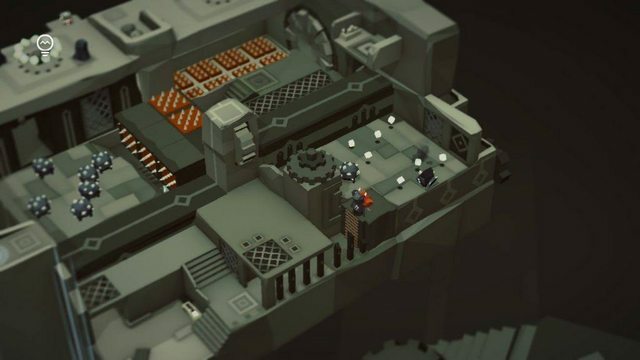 The levels aren't big, but the consideration put into their designs makes the otherwise-diminutive arenas feel more open and natural, and the game's excellent sound really helps reinforce that notion. After The End: Forsaken Destiny is broken up into 13 distinct episodes, and each episode essentially tasks the player with reaching a glowing pillar of light that marks the end zone. Reaching the end zone involves navigating complex 3D puzzle arenas, pulling switches, and avoiding environmental hazards as well as the occasional monster. The bulk of the player's time will be spent simply searching for the correct path to take to reach the end. The stages are small and fairly crowded, which means players will spend a good deal of time swiping the screen to rotate the view just to be able to identify the next way forward. Switches, enemies, and various collectibles are often hidden in out-of-sight alcoves, and the arenas themselves often change shape after certain switches are pulled, opening up new pathways that were previously blocked or otherwise inaccessible. The game's nameless hero is particularly slow-moving, which feels very frustrating at first, but given the scale of the game's levels, this lack of haste is a good thing. Spike traps, moving doors, and enemies are all over the place, and even a single misstep could prove fatal. Fortunately the game does provide plenty of extra lives for clumsy or otherwise careless players, and generous respawn points help minimize the amount of necessary backtracking. As a game, After The End: Forsaken Destiny does a lot of things right. The levels are well-designed, and the game's overall aesthetic feels so much more interesting and cohesive than players might expect. As a mobile game, though, there are a few concerns. First and foremost is pacing: given the protagonist's distinct lack of speed and the complexity of the game's levels, players can expect to take anywhere from 5 to 20 minutes or more to clear a single episode. And, even though respawn points are generous, the game seems to kick players back to the episode selection screen every time they switch away from the application, which essentially drops all of their progress made. As a home console game, this wouldn't be much of an issue, but as a mobile title, the game's pacing leaves much to be desired. The same can be said for the game's story and collectible systems: much is left unsaid or unexplained, which certainly serves to stoke the player's imagination; however, as a game someone might only play for five or ten minutes at a time, waiting in line or riding on public transport, the open-ended nature of storytelling doesn't make for a particularly engaging experience. There's very little immediacy to the title, be it for pacing or for payoff, and that doesn't make it easy to enjoy on-the-go. After The End: Forsaken Destiny is a bit of a mixed bag. It does much of what players demand from a game: it's imaginative, its well-realized, and it provides a pleasing amount of depth and charm. The functions and mechanics to be found are rock-solid, and added touches like musical puzzles provide for a fun amount of variety. It's a shame, then, that the title feels restrained due to its mobile platform. Players for whom time is little concern will find plenty to love within Neople's latest experience, but those who enjoy mobile games for simplicity and quick thrills will likely come up feeling short-changed.